WASHINGTON (AP) -- Attorney General William Barr has made his determination about special counsel Robert Mueller's investigation . Now Democrats want to make their own. 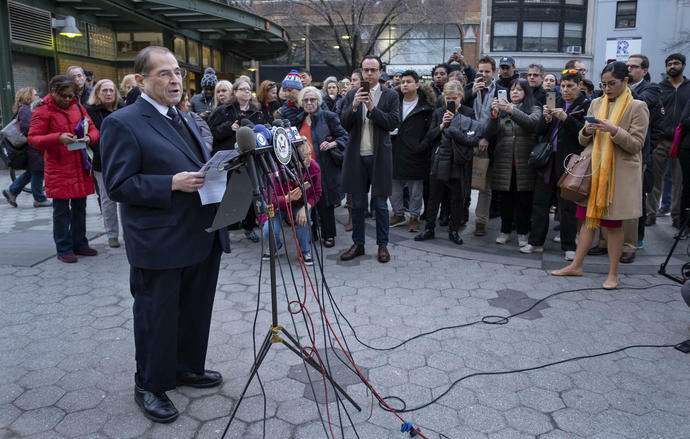 They have seized on a line in the summary that says Mueller's report "does not exonerate" President Donald Trump on obstruction of justice - even though Barr concluded the evidence of obstruction is insufficient to find Trump committed a crime. It's unclear what else is coming from Barr, though he states in the letter that he is working to make more information public. He said he will be consulting with Mueller to determine what else can be released. But whatever is provided is unlikely to be enough for Democrats, who have said they want all of Mueller's underlying evidence - including interviews, documents and material turned over to the grand jury.